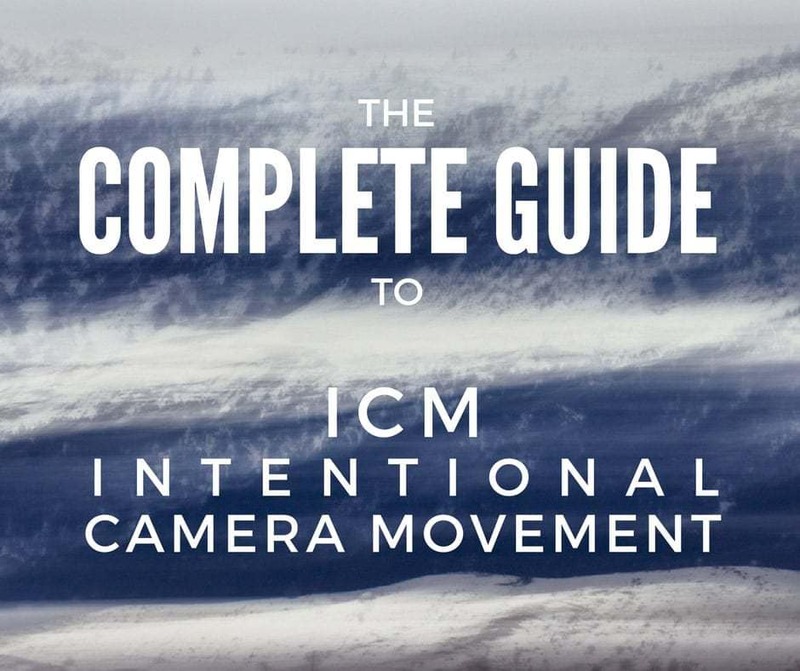 There is not much free information you can find about intentional camera movement online, this is why I felt the need to fill in the gaps and create this complete ICM guide. I intend this guide as an overall tool for studying this technique, both for those wanting to learn ICM from scratch, as well as for advanced photographers working already with this style but wanting to perfect it or to find some inspiration. This is the first part of this guide where I will present some more general principles and interpretations of this style in photography, plus talk about the technique itself and how one can create an ICM image, from the point of view of choosing the subject, the exposure time, the equipment etc., so the result is a fine art photograph. In Part 2 I will elaborate on the more advanced technique of creating panoramic ICM images and on the artistic background and interpretation of this technique. Part 2 of the guide is out, under the name From Art to Photography and Why, and it elaborates on the artistic background of ICM and what made me use this technique in my ICM panorama The substance of Memories. Most probably Part 3 will follow soon with more technical details about the creation of a panoramic ICM image. I am starting this guide with a new ICM image I made in the series Flowing Dance, a series of intentional camera movement images I started a few years ago. This image is called Flowing Dance III and it was shot in the Pindus Mountains in Greece. I am working on some more ICM images at the moment, taken in different places around the world, like New York, Paris, London, and some of them are panoramic ICM images, something I’m going to talk about more extensively later here and especially in Part 2 of this guide to intentional camera movement. Intentional camera movement is a very effective technique that changes the way reality looks and it can create powerful images if used right. Even if it is similar as a concept with traditional long exposure photography, intentional camera movement is a more free approach to photography that can provide more artistic surprises compared to traditional long exposure. For an extensive guide on working with long exposure photography, from a technical and artistic point of view, you can watch my recently released fine art long exposure video tutorial. Also, you can read my long exposure photography extensive tutorial. These two resources will give you everything you need to know to work with long exposure. Also, we study long exposure extensively in my workshop so if you want to become a long exposure expert, you are welcome to join. In a world of photography sometimes obsessed by sharpness and detail, intentional camera movement can seem counter-intuitive and is not always easily understood and accepted, even by some of those with an eye trained in art. In my opinion, however, it is one of the most powerful artistic techniques in photography, a technique that brings the freedom of art to this rather technical mean of expression. Some of the most interesting photographers working with international camera movement are/were Ernst Hass (1921–1986), Chris Friel, Douglas Barkey, Erik Malm and I encourage you to go see the work of those photographers to understand how much this technique can bring photography close to art. I have used international camera movement several times in the past and lately I am working on a series of panoramic intentional camera movement images, called The Substance of Memories. To my knowledge, combining intentional camera movement with the panoramic technique hasn’t been done before, so in this respect, I hope to be bringing something interesting and original to your attention, in case you are in search of new ways of expression. One of my favorite occupations, from the time I was a kid, was to try to do the things others did, in a different way. I’m not sure if it was just me setting a creativity challenge to myself or if it was my personal way of expression, but I know I’mstilll doing it, even with the risk sometimes for my artistic intentions to not be understood immediately. 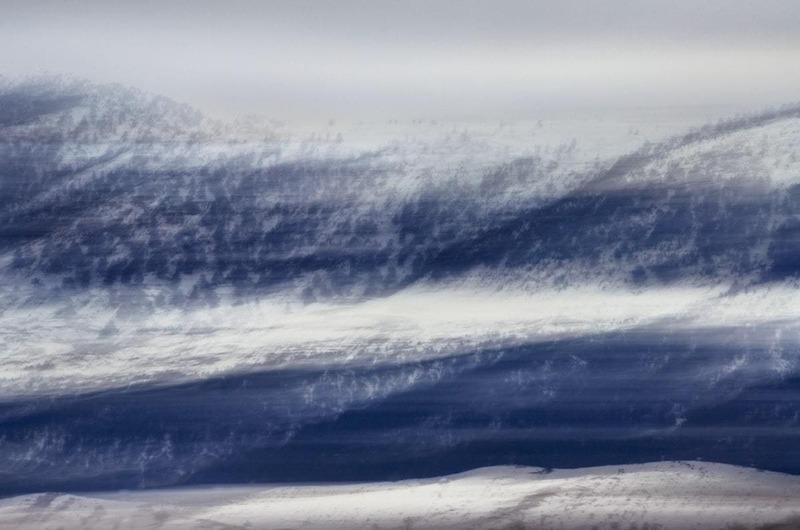 Using ICM combined with panoramic photography can easily be considered one of those “eureka artistic moments” when I discovered a new world of expression. You can see above the first image in my new series, The Substance of Memories I, shot in Manhattan New York I created by stitching 18 independent photographs. I will explain in more detail how I created this image in the second part of this tutorial that I will publish soon, but as a principle idea, what I do in this series is to combine multiple international camera movement images taken in a panoramic array, and then stitch them together to create a multiple motion effect. In a way, this means taking the ICM technique one step further on the path of abstraction, since now the result is not only an image with motion in one direction, but an image with different directions of motion flowing into each other. This interlacing of multiple directions of motion in one image, as the ones one can create in a panoramic ICM image, triggers for me the association with the Impressionist painters, who were interested in removing the detail and the elements of concrete reality from their paintings, in order to facilitate the transmission of the impression of emotion to the viewers. This is what I see myself in intentional camera movement and especially in combining different images in a panorama, to create this flow of motion that removes the details in order to reach deeper into the essence of the scene I am photographing. You can see below, by putting side by side this famous impressionist painting from 1884 by George Seurat (1859-1891), A Sunday on La Grande Jatte, with a photograph taken from the same angle with the intention to recreate the original scene, what means to remove the detail from the painted objects and reduce the scene to the level of “impression”. Similarly, in the case of Vincent Van Gogh (1853-1890) and his painting Café Terrace at Night from 1888, compared with the recording of the location in a photograph, you can see that the result of removing detail in Impressionism is triggering an intense emotion by bringing the viewer closer to the essence of the scene. One can understand much easier the idea and the intention behind the painting without unnecessary details cluttering the scene. Another artist whose work gives you the same feeling as intentional camera movement images, and one of my favorites artists, is the painter Francis Bacon (1909-1992). I’ve written about Bacon also in the book From Basics to Fine Art – Black and White Photography when I was talking about motion blur photography. You can find in the book a comprehensive guide for creating motion blur images. And again Bacon is coming to my mind when I think about the ICM technique, another technique in photography that creates an artistic effect, especially when I think about his portraits. Not a coincidence, I would say. The principles all these aforementioned painters use is the same as the artistic intention of intentional camera movement. We can reduce or remove the detail as much as we need, so the remaining object is not necessarily what we see, but what we imagine related to the scene. In this respect, we are moving from the place of recording reality to the place of recreating reality. We rely on different rules when we do this, so to avoid the connotations one would normally make with known shapes or objects. This creates an open space for imagination to fill in the gaps with each viewer’s version of the story. In intentional camera movement image is, in essence, a long exposure image that uses a “short” long exposure time. The main principle to keep in mind in intentional camera movement is that the longer the exposure the more abstract the image and the less clear the subject. The indicated exposure times to use can start from less than a second (1/30 – 1/20) and go up to a few seconds (2-3 maybe slightly more), in some cases being possible to extend the exposure to many seconds for a more special result. I would consider the fastest shutter speed where you can get enough blur for an intentional camera movement image 1/30, or even better 1/10. In my image The Substance of Memories I used a shutter speed of 1/20 which can be considered too fast for this kind of technique. If needed I can make a perfectly sharp image while handholding the camera at this shutter speed, but at the same time I can make an image containing motion too if I use a different technique. By using the tripod here I was able to introduce even more motion than I would have been able to create handholding the camera, while at the same time, by using a faster shutter speed than the regular speed for an ICM image, I avoided reducing too much the detail so I can create the effect I had in mind. However, normally you would want to use longer exposure times to create a strong enough effect. The best time to shoot intentional camera movement is when the light is dimmer, around dusk or down, but you can practically shoot ICM to any time if you use the right tools to create the right exposure (see how in the Tips & Tricks section below). In order for the technique to be successful, one needs to be careful and create enough motion, so the resulted image shows clearly the intention and doesn’t look like an image blurred by mistake. Also, the direction of movement can totally change the end result and its expressiveness, so choosing the most fit direction of movement is another important aspect to have in mind and experiment with. Another good trick for when you are panning the camera to create intentional motion, just like in the case of any image you take with panning (see sports and car photography – shooting cars in motion etc.) you will get better results if you start panning before pressing the shutter and keep panning for a little while after the exposure s over. This will give you smoother motion and create more fluency and more uniform blur in the image. Choose the lowest ISO of your camera to have more freedom with the length of the exposure. 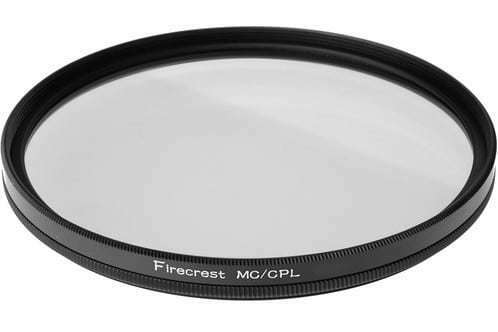 In case the exposure you want to use is not possible at the lowest ISO of your camera you can use a low-intensity neutral density filter to lengthen the exposure. Most of the times a 3-stop or 6-stop ND filter will be enough and you do not need to use your strong ND filters like the 10-stop or the 16-stop. Keep those for truly long exposures. Keep in mind that if you want to purchase any Formatt-Hitech filter or accessory, you can use my discount code JULIA10 to receive 10% discount off any purchase you make from Formatt-Hitech UK website or from Formatt-Hitech USA website. Using a polarizing filter can not only reduce up to 2 stops the light that reaches your sensor, thus give you the freedom to use longer shutter speeds, like in the case of using an ND filter, but it also enhances the colors and contrast in the image, so I am recommending it as a good addition when shooting ICM. My students an whoever knows me, knows I am a fervent advocate of the polarizing filter especially for shooting handheld and I am using it 90% of the time when I shoot short exposures and sometimes even when I shoot long exposures. Even more than in other kinds of photography, in intentional camera movement, experimentation is not only a way of learning the technique and exploring ideas, but it is actually one of the ways you can create great images. The randomness of this technique is something to be used to control the result. In a strange way, you can control the result and create better images if you aim to control less the motion of the camera. This style of photography being mostly abstract, it relies on randomness and on happenstance, so the more you experiment and the more you play with the camera movement and the settings, the more chances you have to create original striking images. This is something I’m going to show more in detail in the second part of this tutorial, so feel free to come visit this website again in a couple of weeks to read the continuation or subscribe to receive it via email in your inbox. The direction of movement of the camera, the panning direction, is an important aspect of ICM and it helps the artistic intention to be clearly manifested. Different panning directions can give different results and create different reactions. I would recommend you to experiment with all these movements to understand what works best for your image, and even combine these movements in longer intentional camera movement exposures. In my opinion both color and black and white work well when using international camera movement. They do not create the same effect but they can both create intense results. This is because the technique itself introduces an important level of abstraction in the image, which makes both the use of black and white or color have more symbolic meaning, since they are not used to represent the objects as they are, but to create an impression and trigger a reaction in the viewer. One of the intentions of fine art photography is to create an image of the world that is different than the one we perceive when looking at the world in an objective way. Abstracting the elements we present in a photograph, either in a classical way, by making an abstract image from a shape/color standpoint, or by abstracting in a more subtle way, by introducing symbols, is one of the most effective way of making a fine art photograph and to create more than photography, to create (en)Visionography. You can read more here about what (en)Visionography means. In ICM we can do both, abstracting from a shape/color standpoint, and introduce symbols as elements of the image. The reaction of the viewer to an ICM image is different than his reaction to a regular sharp image. The viewer will be looking for different things in each image. While in a regular image we may look for sharpness and detail and try to obtain information about the image and the intention of the artist from studying these aspects, in ICM what we look for is the sensation, the mysterious effect of combining shapes and colors which opens the gates of imagination. This is how an international camera movement image should be experienced, by resorting to our own imagination and not by trying to identify or label the objects we see in the image. By using international camera movement we remove information, so that we can add our own information as a reaction to the photograph. In this respect, both color and black and white can create very powerful images. Below you can see Flowing Dance IV, the black and white version of the image we started with. 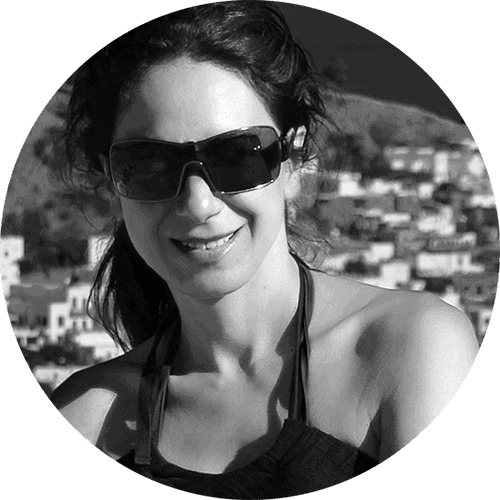 Black and white is already a way of abstracting reality, and by applying movement to a color scene, the color becomes abstract too, so the way we experience movement in color is similar to the way we experience movement in black and white. Color is one of the elements that anchors us in reality by associating it with shapes, so if we remove the shapes by using movement, and keep only the color, the image becomes more abstract, reality becomes more faded, and imagination can take its place. Another reason why black and white and color can both work well with ICM is that the movement is in the ICM images the most important aspect of the image and the element we notice and experience first. The good news is that to work with ICM you do not need very advanced or sophisticated gear and you can even create ICM with a phone. Of course, the better the camera, the more quality your RAW image will have, but from an artistic point of view, there are no differences. The only thing you need is a camera where you can set the shutter speed manually and work either in Shutter Priority or in Manual mode to be able to control the exposure time. I like to work in Manual because I’m generally working in Manual to have the most amount of control over my capture, but Shutter Priority is just fine if you prefer it. The main recommended shooting modes to use in intentional camera movement are: Manual and Shutter Priority. If you want to practice intentional camera movement with your phone, there is an interesting application for iPhone called Slow Shutter Camera that will help you do this and that is available even when you don’t have your “serious” camera equipment with you. I am not sure if there is an equivalent for Android. If you know of one let me know in the comments and I will add it here. Intentional camera movement images are traditionally made by using a handheld camera. This gives a high degree of freedom to the movement and can create unexpected results. However, in my ICM series, I like to use a tripod and I think this can be an interesting way of working with international camera movement. Using a tripod when working with international camera movement may reduce the freedom of the movement, but it can create more accurate results because we can keep the camera level in one direction and can control better how the scene in front of us is recorded on the sensor. Using a tripod is best for shooting vertical, horizontal or diagonal movement and it can introduce a higher degree of control when using these directions of motion. Use a tripod for more accuracy when creating motion. The typical subject for ICM and what you will see mostly as a subject for this style of photography is landscape, but any subject can make a good subject for this technique as long as it can tell a story when it becomes an abstraction. Below are a few ideas of subjects to experiment with an how you can use them. Any subject can be a good subject for ICM since the resulted image will be an abstract one, so it will not look like the subject in its natural state but it can be transformed into something totally different. I hope you got some useful pieces of information and ideas about intentional camera movement from this article and, as I was mentioning earlier, I will be back with the second part of this tutorial, talking even more about the practical and also the artistic side of this style of photography and how it can be used to create a fine art photograph, plus more on how to create a panoramic intentional camera movement image. Thank you very much for that tutorial. This is something that I have been experimenting with after finding myself intrigued by some “mistakes” in the past. I appreciate your continued communication and tutorials. I always learn something of value. Have you tryed using a five or more second interval for four or five minutes and stiching the shots together in Photoshop for a long exposure effect. You can still keep some of the moving elements sharp with some masking. Thank you Jerome. Glad you enjoyed the tutorial. One can discover very interesting “mistakes” when doing ICM. Probably this is how it became an art. I’ve done some experimentation with stacked exposures taken at different intervals and you can have impressible results. I haven’t worked a lot with this technique but it is something to explore. I find fascinating all the techniques that play with time, as you can always introduce an element of surprise that transforms an image from a conventional one into something surprising. Hi Doug. Thank you for your kind comment and I’m happy you found the articles inspirational and useful. I believe that looking at painting and how the creative process works for painters and other artists can be a great source of inspiration for photographers too. Happy you think so, Jay. Thanks a lot and I hope you’re doing fine. Cheers! Glad to see your moving on from you anger over others copying you envisionography as theirs. Be Picasso! I have found that folks that look at these “movement” images like to see something not blurred enough to recognize. Perhaps more like the circular movement on the tree rather then the blurred hills. I look forward to developments. Hi Robert. Thanks. I’m not angry anymore because I have too many other things to do and because that person stopped, at least for now and hopefully for good. It seems making the issue public gave him something to think about. As for the choice of movement in ICM, I think it has a lot to do with each subject and case. I’m always trying different movements when shooting a subject to see which one gives me results closer to my vision, or which one gives me the most interesting surprise. The tree had a lot a detail in the center so that draw me towards the circular movement with stable center. The hills were rolling like a wave and that’s why I went for the horizontal movement and the blue color. … This is the object of my current research, which I seek to develop in order to find my own style and I still appreciate your vision and tutorial on the subject, really! Thanks a lot. In ICM, image stacking is an interesting track. Happy to hear the timing of the article was so good. Looking forward to seeing your ICM work and yes, image stacking or multiple exposures are interesting to explore in combination with ICM. Hi again, I occurred to me that I have some images done after listening to talk by Jullianne Kost of Adobe systems. At that time she had her boy friend drive her around so she could shoot from the window using the vehicles speed and turning her camera. I looked at her Behance site https://www.behance.net/julieannekost and find some examples. I think she would be a good person to be in the ICM community with you. Tell me how to share my few images with you. Thanks for the link to Julianna Kost. I know her from her tutorials but I didn’t know she was doing ICM. 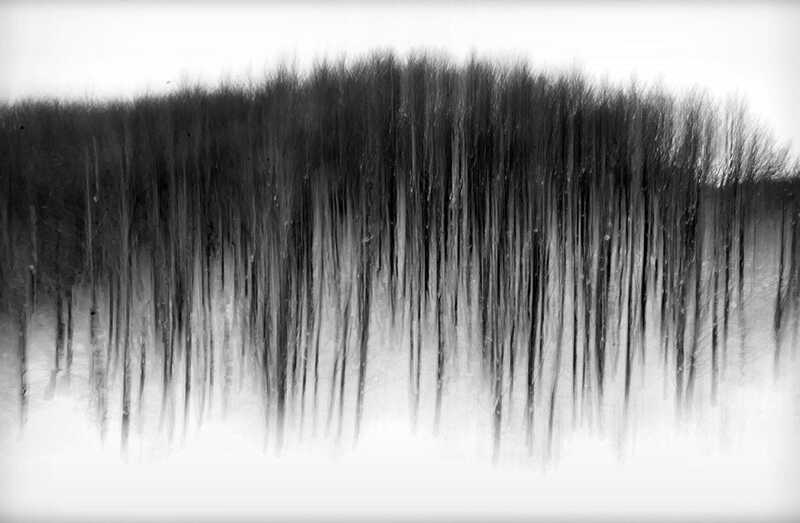 Very interesting images especially with the trees. I think trees are one of the best subjects for ICM, together with seascapes. You can leave a link to the images you want to share here in the comments. I’d like to see them. Thanks. As always an interesting and intriguing article. All to experiment. Grazie Osvaldo. I’m happy you found it interesting and looking forward to seeing the experiments. Have a good Sunday. Thanks Julia for introducing me to this technique! I am definitely experimenting with ICM. I am drawn to the abstraction and the messiness, still can carry through an architectural essence. Glad to hear that Rebecca. ICM is very inspiring and you can practically create anything with this technique. It is so free and without constraints. Hope you’re doing fine. Thanks. Terrific article Julia. Thank you for sharing your knowledge of this technique. One problem I have found however is that the images for George Surat, Van Gogh and under the Tips and tricks 1 and 3 are not displaying: they just show a grouping of little squares modulating in size. This is on an older iPad running iOS 9.3.5. The images display fine on a newer iPhone running the latest iOS so you may want to check if the image plugin you use has incompatibilities with older devices. Ignore the last comment. For some reason after leaving the comment the page refreshed and the images displayed! Very odd as I had previously tried refreshing the page multiple times and the images still did not display at that stage. Thanks very much Peter. I’m glad you enjoyed the article and you were able to see the images eventually. Maybe there was some cache issue not allowing the refresh of the page.